Morris dance is a form of English folk dance usually accompanied by music. It is based on rhythmic stepping and the execution of choreographed figures by a group of dancers. Implements such as sticks, swords, handkerchiefs and bells may also be wielded by the dancers. It's a living tradition, linking pastoral communities of long ago with the cities, towns, and extended communities we live in today. The origins of the tradition are lost in ancient time, but we know the dance is quite old, possibly derived from pre-Christian rites, passed down from generation to generation. In the English village of Bampton in Oxfordshire, the Morris has been performed at Whitsuntide every year (except in time of war) for well over five hundred years. No one really seems to know why it's called Morris, how old the tradition is, where it originated, whether Druids were ever involved, or if it really promotes fertility. But we do know it's old enough to have been banned by Cromwell, and that Shakespeare mentioned the dance in several of his works; one of his star actors, Will Kemp, was a known to be a "Morrice Dauncer." Traditionally, Morris dance was performed exclusively by men (except when women danced, too). Nowadays, it is done by groups ("teams" or "sides") of men and/or women all over the English-speaking world. 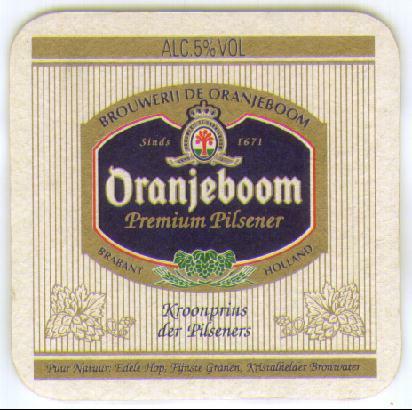 It's a living tradition that evolves and grows over time. Enthusiasts are attracted to the dance by the challenge of athletic performance, and to honor its roots as a community celebration. Morris is an athletic dance form, so watch for the height the Morris men leap. Encourage the dancers with shouts of "Higher!" -- the more you get into it, the more we do. A good audience will see great Morris dancing. Look for formations in the dance, particularly patterns formed with sticks or handkerchiefs when the music goes into the chorus. Look for The Fool: the brightly-dressed troublemaker whom the dancers are not allowed to notice. 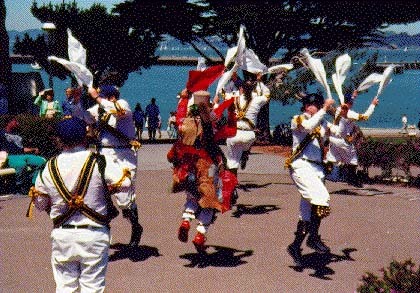 There are many other Morris teams in the San Francisco area, and around the world. If you live in the Bay area, come see us! If outside the Bay Area, check out the other Morris sides around the world.